OAK RIDGE, Tenn., Oct. 20, 2017—By harnessing the power of quantum mechanics, researchers hope to create quantum computers capable of simulating phenomenon at a scale and speed unthinkable on traditional architectures, an effort of great interest to agencies such as the Department of Energy tasked with tackling some of the world’s most complex science problems. ORNL’s Raphael Pooser will oversee an effort titled, “Methods and Interfaces for Quantum Acceleration of Scientific Applications,” part of the larger Quantum Computing Testbed Pathfinder program funded by DOE’s Advanced Scientific Computing Research office. Pooser’s team, which includes partners from IBM, commercial quantum computing developer IonQ, Georgia Tech and Virginia Tech, received $7.5 million over five years to evaluate the performance of a suite of applications on near-term quantum architectures. The idea, Pooser said, is to work with industry leaders to understand the potential of quantum architectures in solving scientific challenges on the scale of those being tackled by DOE. ORNL will focus on scientific applications spanning three fields of study: quantum field theory, quantum chemistry and quantum machine learning. Many of these applications have never been programmed for quantum architectures before, which presents a unique challenge. Because today’s quantum computers are relatively small, applications must be tuned to the hardware to maximize performance and accuracy. This requires a deep understanding of the uniquely quantum areas of the programs, and it requires running them on various quantum architectures to assess their validity, and ultimately their feasibility. 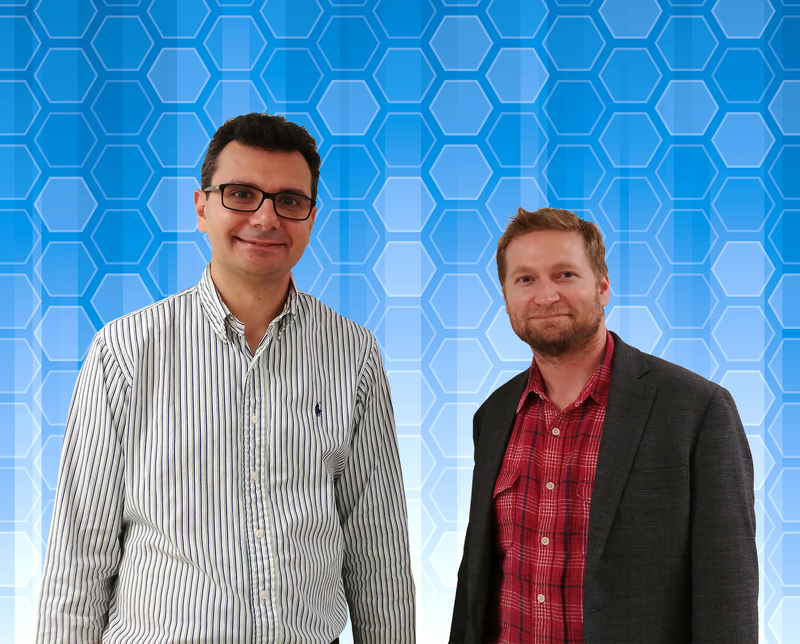 To increase their chances of success, Pooser’s team will work closely with his ORNL colleague Pavel Lougovski who is overseeing the “Heterogeneous Digital-Analog Quantum Dynamics Simulations” effort, which has received $3 million over three years. Lougovski has partnered with the University of Washington’s Institute for Nuclear Theory and the University of the Basque Country UPV/EHU in Bilbao, Spain, to develop quantum simulation algorithms for applications in condensed matter and nuclear physics, specifically large-scale, many-body systems of particular interest to DOE’s Office of Science. Lougovski’s team will pursue an algorithm design approach that combines best features of digital and analog quantum computing with the end goal of matching the complexity of quantum simulation algorithms to available quantum architectures. Because development and deployment of quantum hardware is a nascent field compared to traditional computing platforms, the team will also harness the power of hybrid quantum systems that use a combination of quantum computers and traditional processors. ORNL’s quantum information researchers have decades of quantum computing research experience, and the laboratory has also made significant investments across the quantum spectrum, including in quantum communications and quantum sensing, and has strong relationships with industry leaders. The lab’s Quantum Computing Institute brings together expertise across the quantum spectrum and fosters collaboration across domains, from nanotechnology to physics to chemistry to biology. These assets, along with ORNL’s rich history in traditional high-performance computing and ramping up applications to exploit powerful computing resources, will be critical in realizing the potential of the quantum platform to greatly accelerate scientific understanding of the natural world. ORNL is managed by UT-Battelle for the DOE Office of Science. The Office of Science is the single largest supporter of basic research in the physical sciences in the United States and is working to address some of the most pressing challenges of our time. For more information, please visit http://science.energy.gov/.